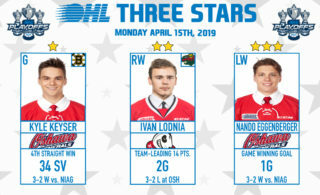 The Niagara IceDogs opened the Eastern Conference Quarter-Final Thursday night against the North Bay Battalion. 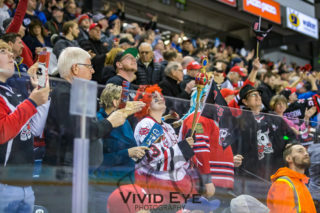 The IceDogs returned home after securing the Central Division title in North Bay to a sold out crowd at the Meridian Centre. 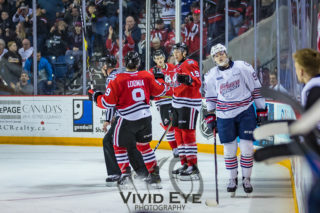 The IceDogs dominated the opening frame, outshooting the Battalion 11-0 in the first 8 minutes of the game. 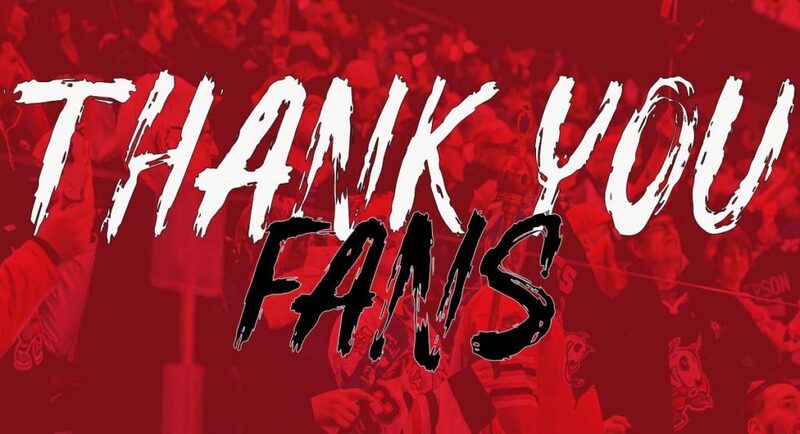 With the post-season coming, so does an IceDogs’ fans favourite chant. Last post-season Jack Studnicka heard that chant several times, however this year, he was the player to spur the chants for the first time! With just over 6 minutes to play in the period, Jack Studnicka got the Dogs on the board with his first in the post-season, on the power play, bringing on the Yes! Yes! Yes! chants. The IceDogs continued to control the play in the second period. Both teams were looking to score the all important next goal. It was Jason Robertson who broke through the barrier to double Niagara’s lead in the dying minutes of the period. Robertson’s backhander was his first of this post-season. 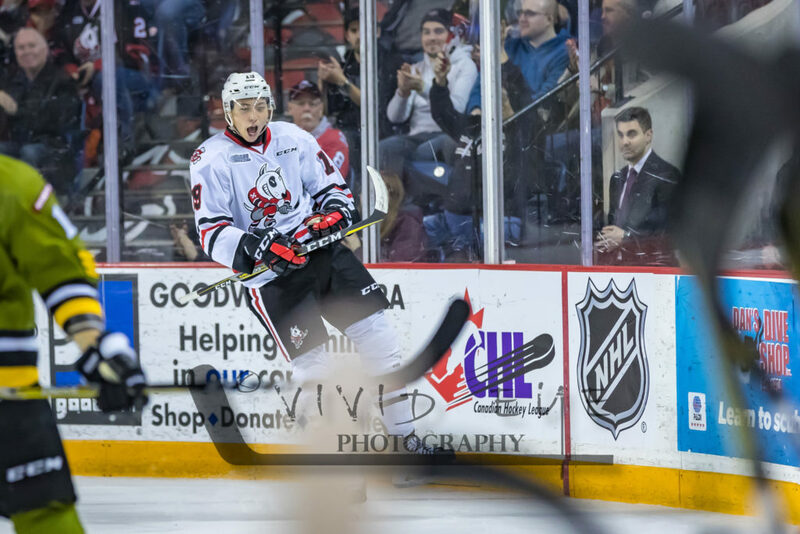 The IceDogs’ defense took over in the third period to keep the Battalion at bay. Niagara improved their 8-1 win record in first games of a post-season series to 9-1 with a 2-0 win! Stephen Dhillon picked up the 23-save shutout in the win!